1940s pearl and crystal flower earrings available with coordinating tiara and necklace. Taking inspiration from precious 1940's diamond and pearl earrings with a hint of modern charm, these are simply exquisite. Featuring silver tone flowers, leaves and stems encrusted with sparkling Austrian crystals and enhanced with ivory faux pearl drops, they combine timeless glamour with class. Perfect to compliment any outfit with effortless style, their versatile drops ensure they make a chic statement. 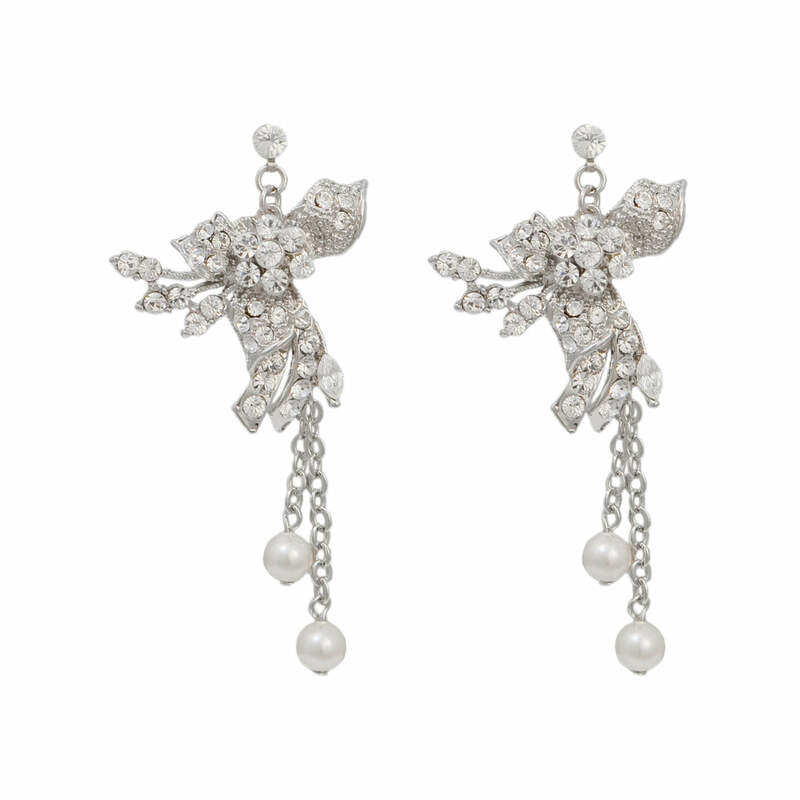 Beautiful wedding earrings for classic brides who adore the glamour of 1940's Hollywood, they look sensational with an antique inspired wedding gown. These earrings are totally gorgeous, I was afraid of the size being too long but it totally goes with the headband (exquisitely precious), they complimented my wedding gown very well.